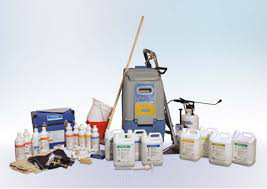 You will find all the professional cleaning solutions you need for Carpet cleaning, Upholstery cleaning, Rug & Leather cleaning in our extensive range of cleaning chemicals. Our impressive selection includes eco-friendly cleaning solutions, detergent free cleaning solutions, solutions safe for use on wool and fine fabrics. Prochem cleaning products have a worldwide reputation for outstanding performance in the professional, commercial and institutional cleaning sectors. Specialist products cover a whole range of requirements for carpets, fabrics, floors and surface cleaning technologies and maintenance. Formulations are developed in-house to meet strict performance, safety, quality and environmental criteria. 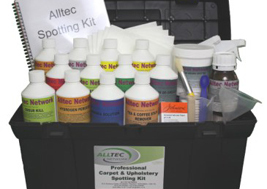 Alltec Network supplies all the professional cleaning solutions needed for Carpet, Upholstery and Rug cleaning in their extensive range of cleaning chemicals. Their impressive selection includes eco friendly solutions, detergent free solutions and solutions safe for use on wool and fine fabrics. To do the best job possible, we need professional carpet cleaning equipment that won’t let us down when we are in a customer’s home. That’s where they excel! Alltec’s machines are powerful, reliable and they give an incredible 100% money back guarantee.